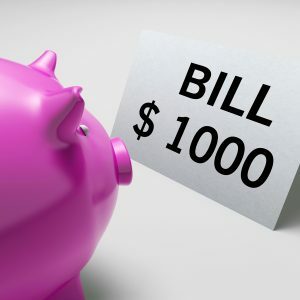 Are you struggling with medical bills? You aren’t alone. In fact, it is estimated that nearly 25% of Americans have serious medical debt problems. Over half of those people may go to drastic measures like using their savings to pay it off. That is not necessary! There are other medical debt relief options that can help. First, evaluate your total debt owed. This includes not just medical debt, but other sources of debt too. It is important to get an idea of your financial situation before deciding on a debt relief strategy. Compare your total amount of debt to your income. Subtract out all your essential living expenses and minimum payments on other debts. How much can you afford to pay towards a medical bill each month? If you do have money available for making a medical debt payment you have a few options. One is to simply arrange a monthly payment plan. Contact your provider and ask them for a payment plan. Tell them how much you have in your budget to pay each month. Offer to set up an automatic withdrawal of the payment to encourage them to agree to your monthly payment. Another option is to negotiate a settlement. Contact your provider and tell them you are willing to pay the debt in full at a lower balance. Most providers will lower the total amount owed by 20% or more for a lump sum payment in full. If you do not feel you can afford to repay the debt at all you should consider bankruptcy. Filing for bankruptcy can eliminate your medical debt, usually at little to no cost to you. Depending on your financial situation, you may be able to eliminate medical debt without making any payments. Discuss your options with a Houston bankruptcy lawyer to ensure it is the best choice for you.